This is the writing Renshu 練習 in Japanese, which means Practice. The person is an avid golfer, and I wanted to provide something for him to remember about his game. 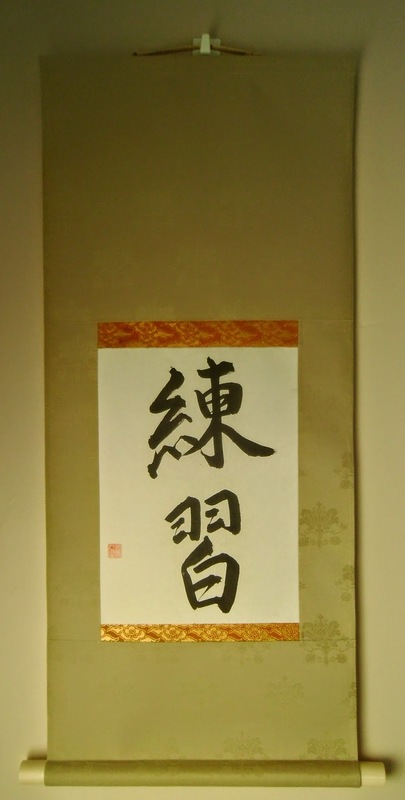 The silk is a pure silk, and this scroll is in a Maru Hyougu style. The jikusaki is plastic, and the hanging string is Light Gold.